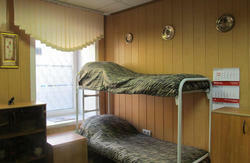 Economy class hostel 'Grechesky-15', St.-Petersburg. It is cheap and pleasant! 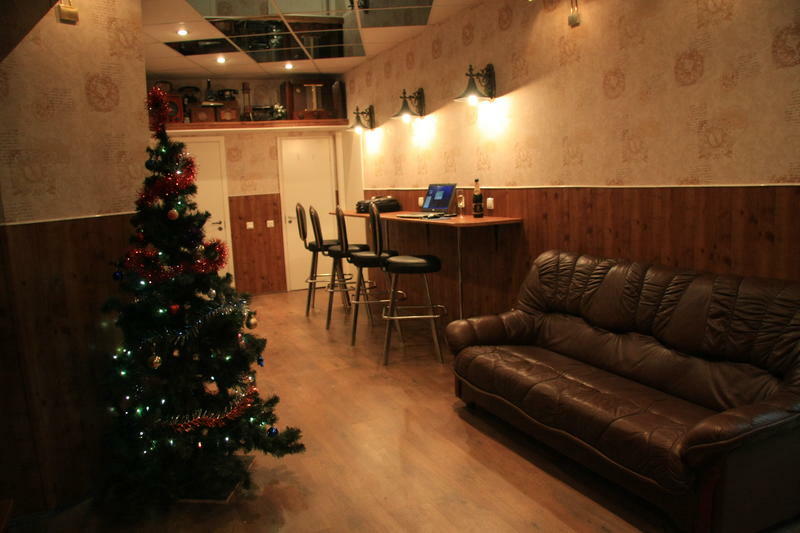 Nevsky Prospekt, Moscow railway station, metro station are in a seven minutes of walking. The main tourist, cultural and business facilities in walking availability. At the same time we are in a silent quiet place where nothing will prevent your rest. Nearby a paid secured parking. 17 rooms from 2 to 8 places. Separate input from street, emergency exits. 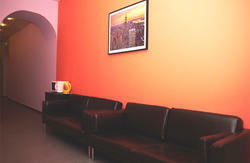 Roomss are equipped by TVs, cases, hangers, bedside tables, individual lamps. Beds with spring mattresses. Continental breakfast. The approximate menu: yogurt or juice, batch, a curd cake, chocolate. The limitless tariff of tea, coffee, sugar. Kitchen with the refrigerator, an electric stove, a teapot, the microwave oven. Potable water from stationary filtering system. From metro station “Ploshchad’ Vosstaniya” you go on Ligovsky Avenue to the 'October' big concert hall. You bypass it at the left, then you cross Grechesky Avenue and you see our door directly at the corner of Grechesky Avenue and 5th Sovetskaya Street. From the Moscow railway station you bypass Vosstaniya Square on the right, you cross Goncharnaya Street and Nevsky Avenue, further between buildings on 1st Sovetskaya Street and on Orlovsky Lane on which you come to Grechesky Avenue. If you arrived to St. Petersburg by plane, from airport 'Pulkovo-1' you go by bus No. 39 to Moskovskaya metro station, from the Pulkovo-2 airport you go by bus No. 13 (15-20 minutes). The trip in the subway will be about 35 minutes. If you go from the Moscow railway station, it is possible to bypass the Revolt square on the right, to pass Goncharnaya street and the Nevsky prospect, further between houses to leave on 1st Sovietskaya street and on the Orlovsky lane on the Grechesky prospect (see a card).